Development projects come in different shapes and sizes – from the conversion of a small building into apartments to a large scale multi-room project and everything in between. 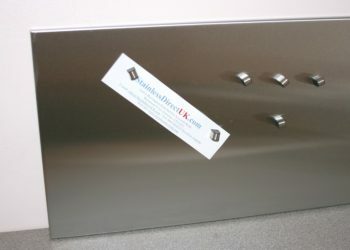 Stainless Direct UK can provide high quality, cost effective and durable products on time and within budget. 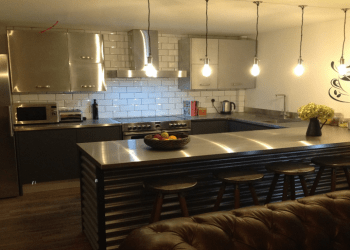 We currently work with a number of Companies that sees us regularly supply stainless steel splashbacks, upstands and plinth. Powder coated noticeboards are a firm favourite for student accommodation, offering practical and stylish solutions for small spaces. 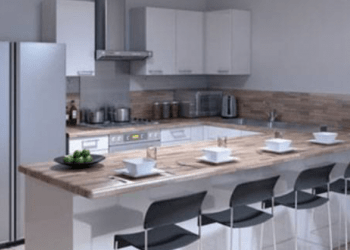 Recently we have seen an increase in the demand for stainless steel worktops both within the student sector and higher end developments. These products are so versatile that they can be personalised to suit any style or budget which is what makes them so popular. Deliveries can be supplied on a project by project call off basis operating over multiple sites or can simply be ordered in batches as they are required. We can also offer a full site template and installation service too if required. If you have a tender, some plans or drawings or are at the initial planning stage, please contact our experienced team who will happily guide you through the stages required to see your development come to life.